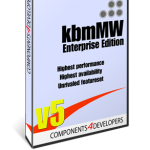 But we are working hard on kbmMW v5 final release. 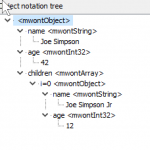 we also want to add one new essential major brick to ensure that YOU can develop applications faster, cleaner, cooler and more intuitive with kbmMW than with any other similar tool! We expect to release v5 Professional/Enterprise Edition final (with the new feature in beta), supporting Tokyo within the next week. kbmMemTable Standard and Professional Edition supporting Tokyo will be released at the same time. Hope we can use this new stuff asap.